Spring has Sprung in 2014! 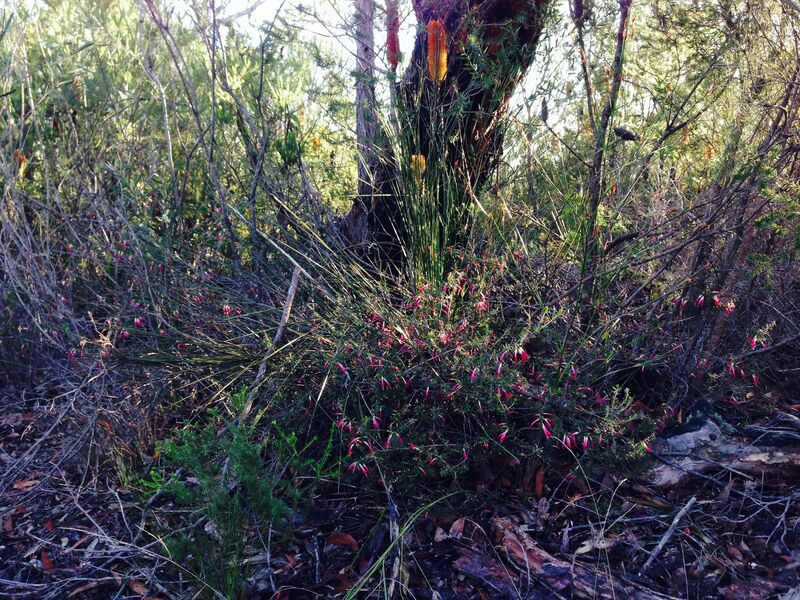 Hi all, I have just been for a long bush walk through Kuring-gai Chase near my place and the deep-pink Boronias and pale-pink Wax Flowers (Eriostemon Australis) and the luminous red and white Epacris (Native Fuchsias) are already coming into flower- and it is still mid-winter! That has to be one of the most beautiful and amazing things about Sydney: winter is here for a brief flash, and even while we feel a tinge of cold in the early morning, the rest of the day is brilliant sunshine filled with bouquets of spring flowers (if you know where to look)! So I am looking forward very much to teaching Australian Literature, Twentieth Century Literature and William Blake (in Visionary Imagination) this coming spring semester. Keep your eyes and ears open for ideas and suggestions now and during the semester. These are flowering in Kuring-gai Chase right now. Oh I wish I could join you this semester in your class Michael. Next year I start my BA and with your encouragement will seek to make Australian literature a major component to it. I am yet to see the student advisor but hope to do so soon.